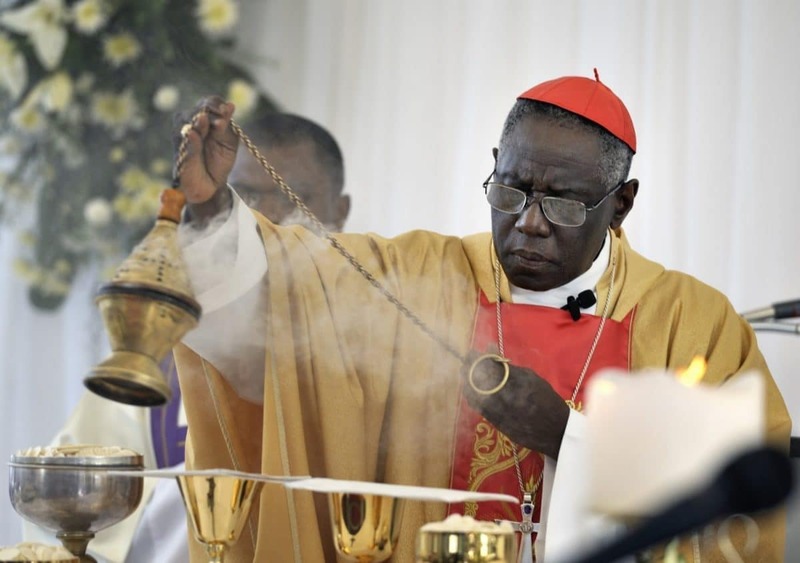 Cardinal Robert Sarah, president of the Pontifical Council Cor Unum, swings a censer as he celebrates Mass in Port-au-Prince marking the one-year anniversary of the Jan. 12, 2010, earthquake that devastated Haiti. Held in the shadows of the ruins of the Cathedral of Our Lady of the Assumption, the gathering was one of many special observances held throughout the Caribbean nation. (CNS photo/Paul Jeffrey) (Jan. 12, 2011) See stories slugged HAITI- Jan. 12, 2011.